(Los Angeles, CA) – A new strategy for space development will be presented at the International Space Development Conference, which takes place at the Sheraton Gateway Los Angeles Hotel this week. Citizens in Space, a project of the United States Rocket Academy and the Space Studies Institute, will present “The Great Enterprise: From Citizen Space Exploration to Space Settlement” in the Redondo California Ballroom at 3:00 on Saturday, May 17. “The Great Enterprise is a theme developed by the Space Studies Institute over the past several years,” said Robin Snelson, executive director of SSI. “The end goal of the Great Enterprise is the permanent human settlement of space. 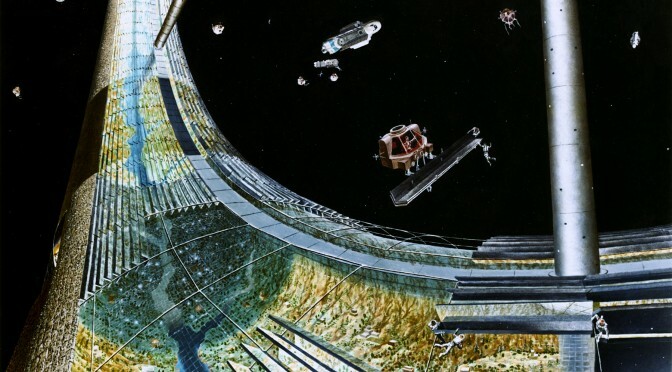 “Space settlement was envisioned by SSI founder Dr. Gerard K. O’Neill, Princeton physics professor and author of the best-selling book ‘The High Frontier,’ nearly 40 years ago. “O’Neill’s vision inspired the creation of space-advocacy groups like the National Space Society, the sponsor of the International Space Development Conference. Despite the widespread interest in O’Neill’s ideas, space settlement has remained an elusive goal. “The burgeoning Do It Yourself movement provides a model for the new strategy,” said Edward Wright, founder of the United States Rocket Academy and program manager for Citizens in Space. “530,000 people attended Maker Faires last year. Citizen-science projects and hackerspaces are springing up all over the country. Space advocacy organizations must tap into that community to a create a Do It Yourself space movement.